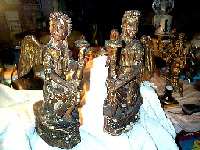 Golberg Restoration Co. - Artifacts & Antiquities Conservation and Restoration. 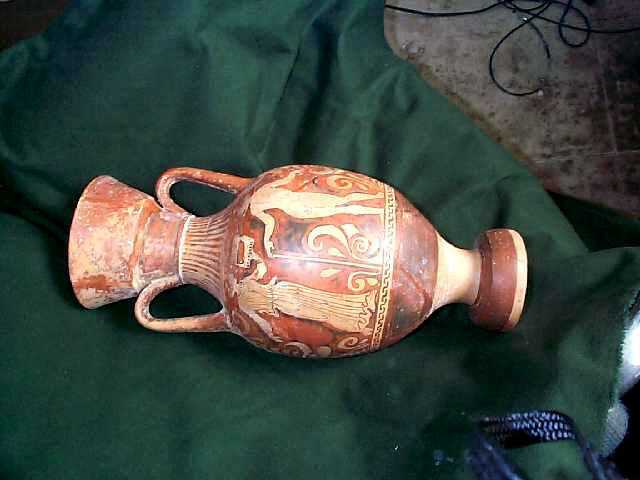 Artifacts & Antiquities conservation and restoration. Antiquities, artifacts, and other extremely unique items require utmost care to preserve all of the original media which has survived the time. 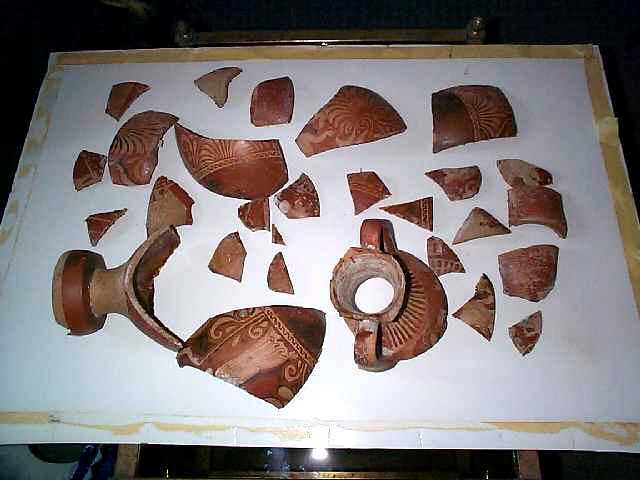 Restoration of these types of object typically requres "museum quality" restoration technique. 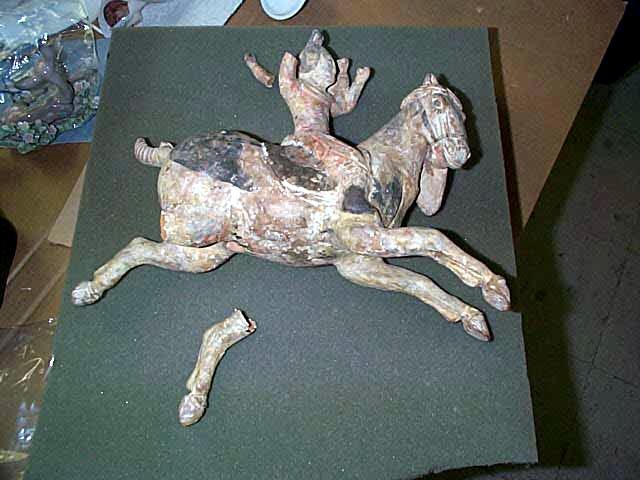 Unlike, the "invisible" restoration which places importance on structural reinforcement & cosmetic restoration, "museum quality" restoration stresses conservation of the item. This service ensures longevity of the damaged item. With combined experience of over 50 years, the husband & wife owners of Golberg Restoration Co. have performed "museum quality" conservation in their private practice as well as in the function of restorers at European museum and conservation laboratory. 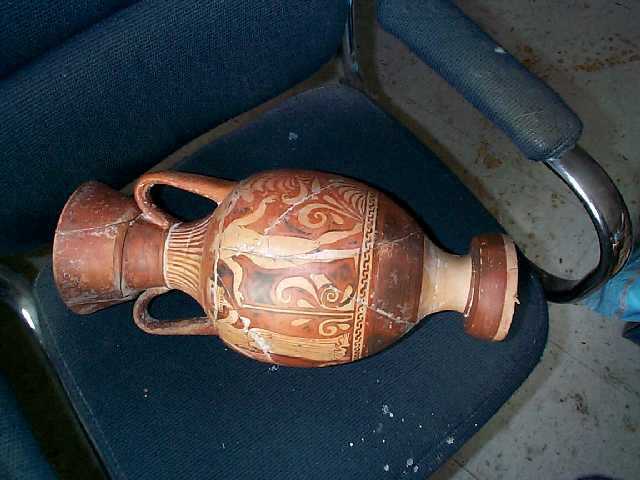 Here is an example of the amphora which we restored.